Order all your printing in a discount print package. Our highest quality, full colour litho printed business cards printed using the finest quality 350gsm card, plus Letterheads and Compliment slips, printed on 115gsm paper. Ideal for a startup business. We can also provide your logo design and artwork. How do I pay for a litho stationery start up package? Do I need artwork for a litho stationery start up package? You can look at Digital Packages to compare prices. Now every member of staff can have a pack of business cards. Need artwork for your stationery package? Our design studio can produce artwork for your stationery package from only £22.50! Printline Advertising is a stationery start up printer in Leeds. 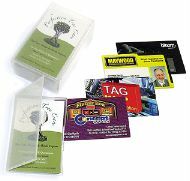 We have been printing start up stationery packages in Leeds since 1983.